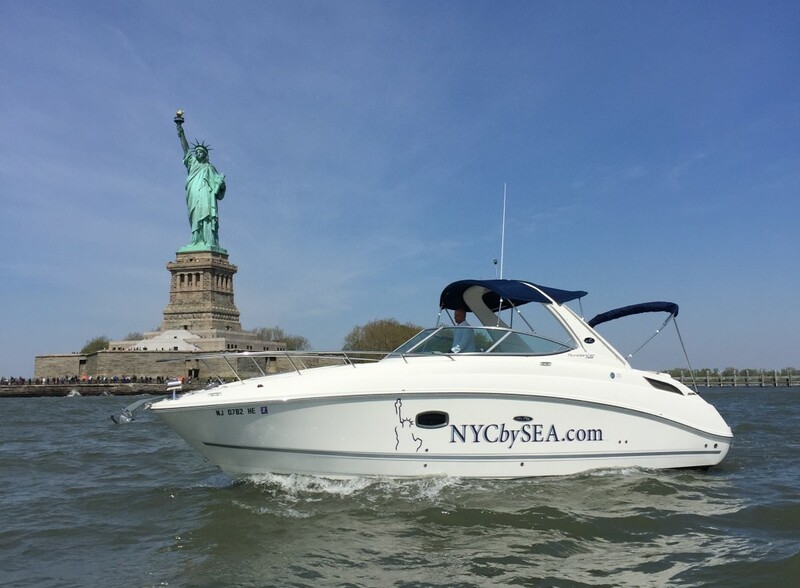 NYCbySEA allows you to experience the beauty of New York Harbor on your own terms through a private charter. We offer private charters for any occasion. 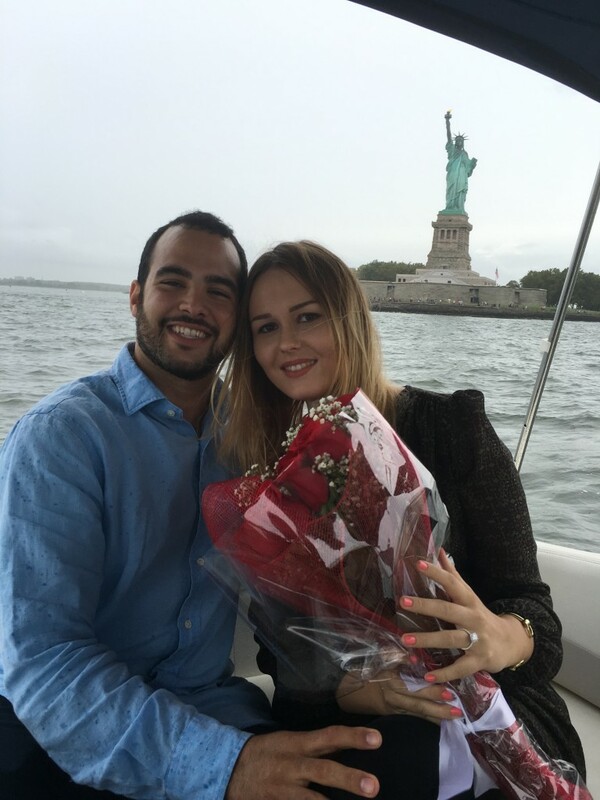 From a romantic evening with a loved one, to a celebratory night out with friends, or a once-in-a-lifetime view of Macy’s Fourth of July Fireworks, a private charter with NYCbySEA offers an unparalleled boating experience. A private charter is also a perfect opportunity for corporate client servicing. We book private charters at an hourly rate, with prices starting at $250 an hour. For our private charter customers, we offer a concierge service through North Cove Marina. This allows charter guests to arrange delivery of food and beverages to the dock, ready at the boat for your departure. Mention this concierge service while booking your charter, so we can provide you with further instructions. 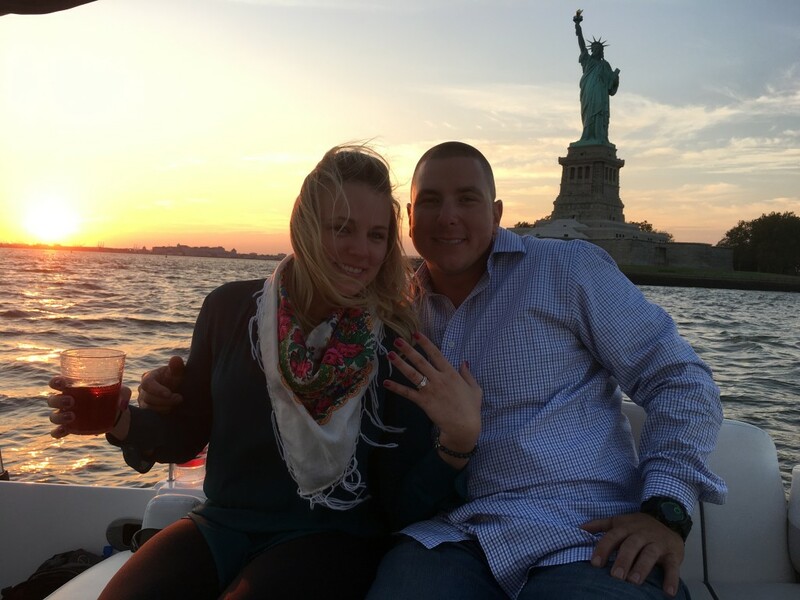 We provide one of the best scenes for proposals and engagements in the city. 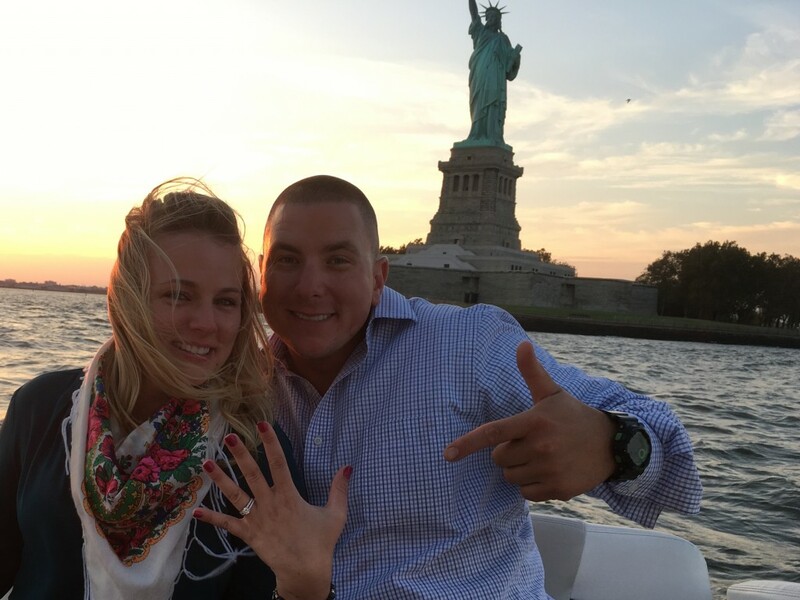 Nothing is better than a “Yes” while cruising on the water with the New York cityscape in the background. 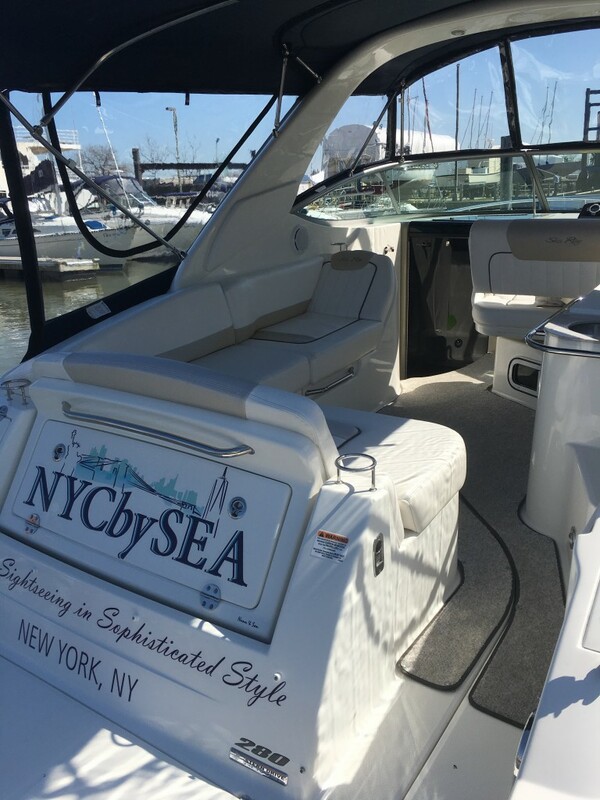 Our tour boat is a new, state-of-the-art Sea Ray 280 Sundancer. It’s loaded with high-end features to make your trip as relaxing and comfortable as possible. The boat weighs over 4 tons and measures over 28 feet in length. Although it has capacity for 10 people, each excursion is limited to only 6 passengers. 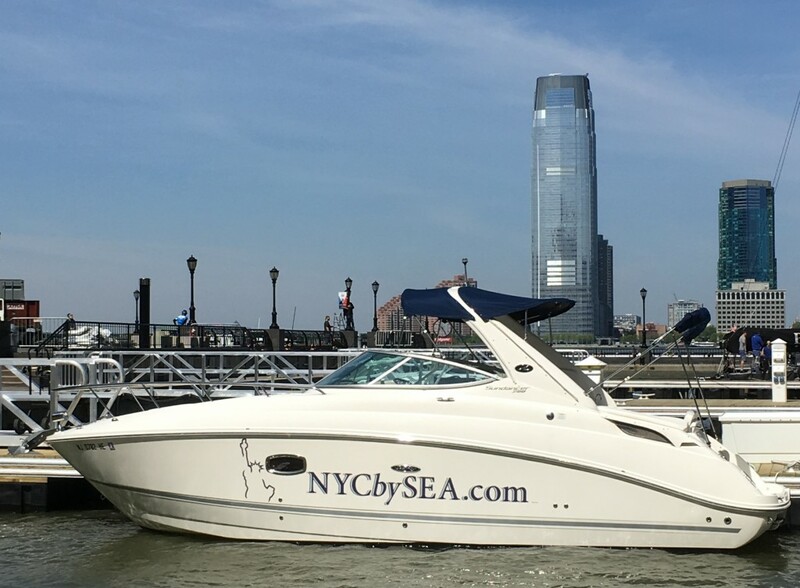 It’s the perfect vessel to see New York Harbor, and truly offers Simple Sightseeing in Sophisticated Style! Please use the form to request pricing and availability of your private charter. We will get back to you as soon as we can. For more details about private tours, rules for when you are on board, or any other additional questions you may have, please visit our FAQ page or please feel free to contact us. 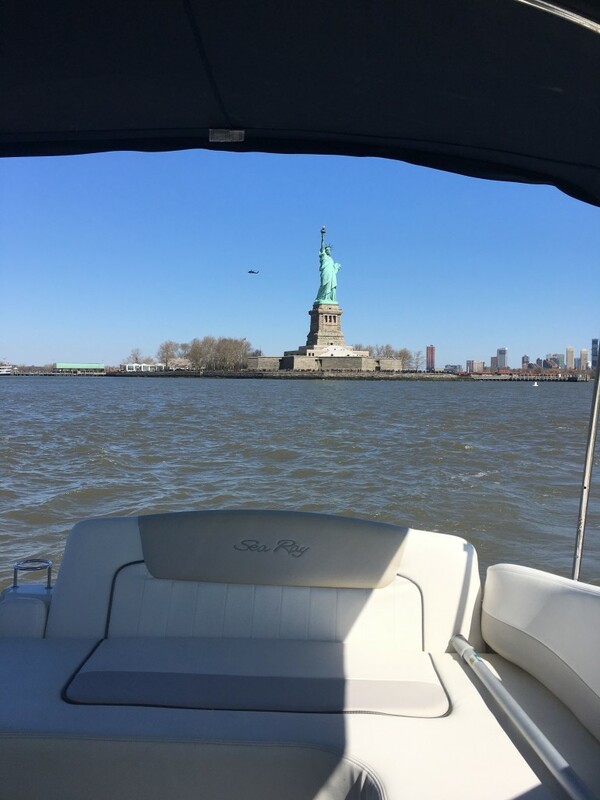 Don't forget we also have regularly available, hour-long sightseeing tours of the New York City Harbor!